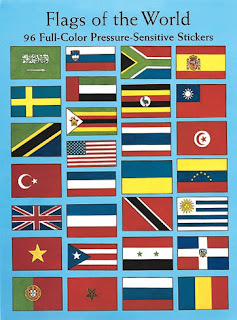 Become an expert on international emblems with this collection of brilliantly colored banners. 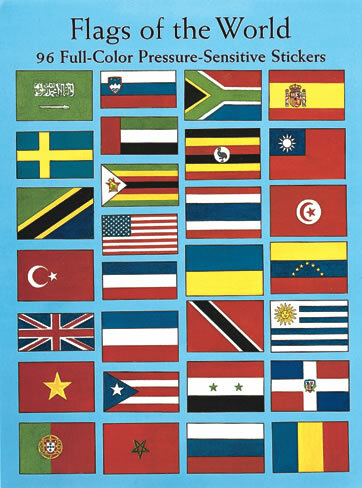 Each sticker is an accurate depiction of an individual flag, and all are identified and keyed to a map of the world. The 96 peel-and-apply illustrations are great for classroom use as well as adorning stationery or other flat surfaces.